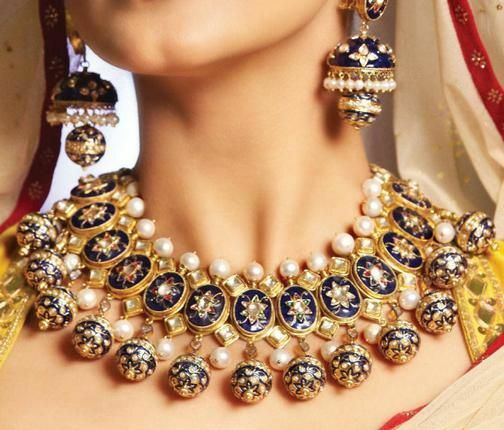 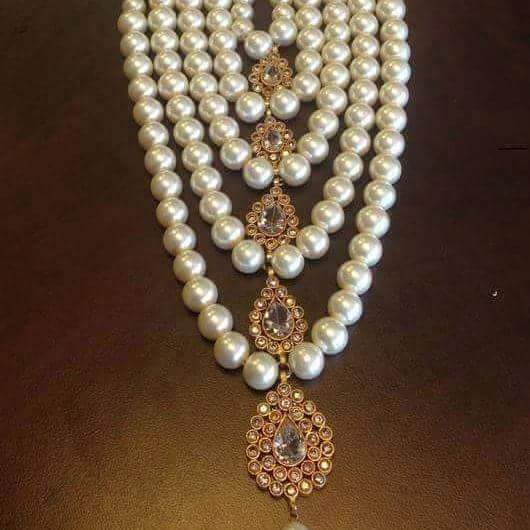 Kundan is most processed and purified form of jewelry that is worn by Asian girls of centuries, originated from royal courts of Rajasthan and Gujarat situated in Indian Sub-Continent. 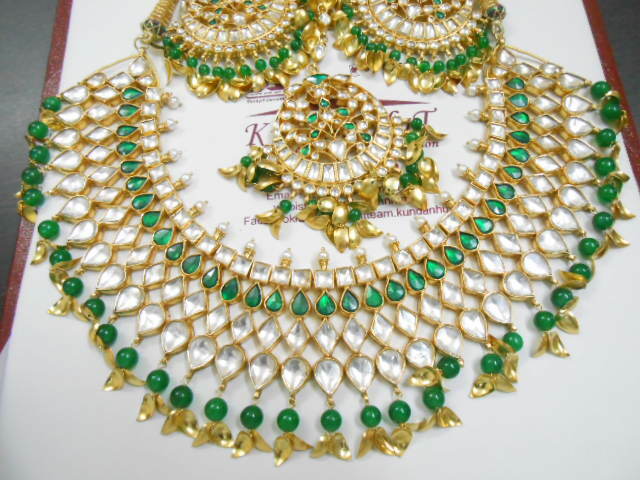 The term “Kundan” literally means perfectly refined for of gold, which is gained by melting it at very high temperature. 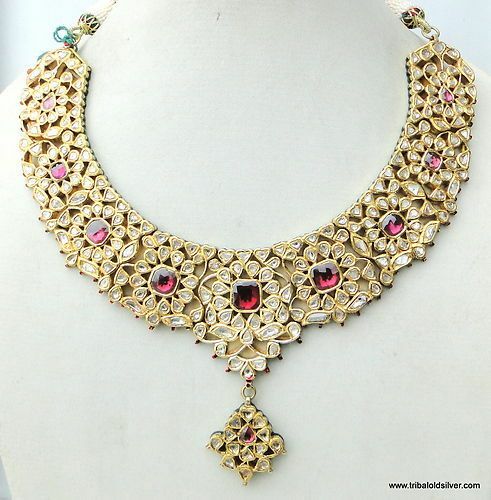 With gold, precious stones and gems are encrusted in gold foils to create amazing magic of this art work. 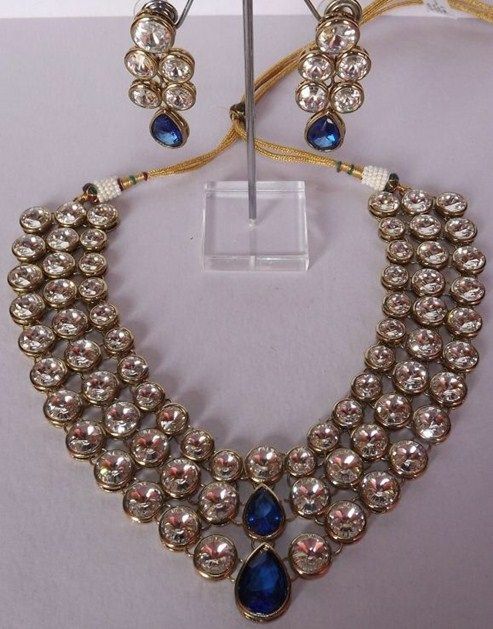 It is considered most oldest and ancient type of jewelry which is produced by Indians. 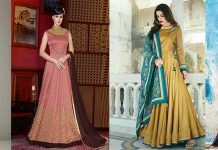 Now its designs contains finest and newest distinctive patterns of designs. 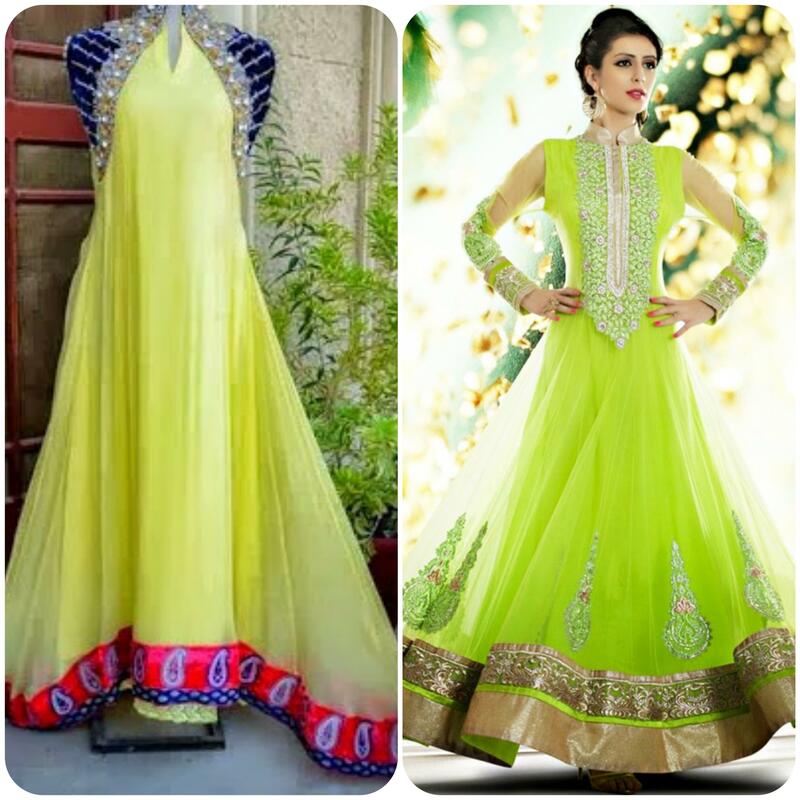 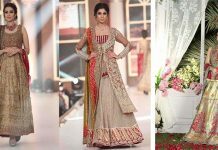 Based on its styles and designs you can carry it on traditional apparels and in any functions, from shalwar to kameez, from sarees to lehenga’s and from gowns to frocks. 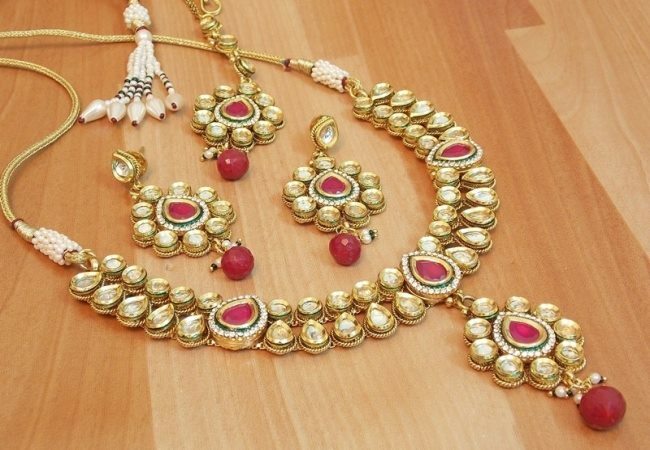 Our today’s article is about latest kundan designs used by plenty of Asian women on various traditional events. 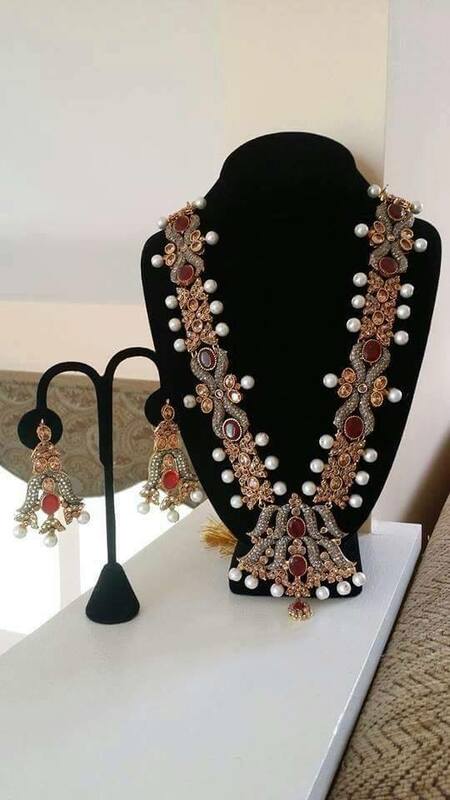 Necklaces are real charm of any jewelry set and Kundan necklaces are three times more attractive due the use of gems and stones. 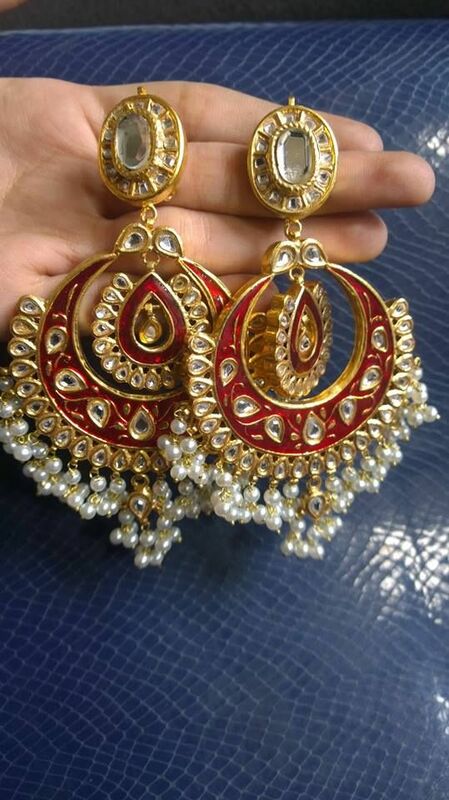 For brides, these are designed with heavy work of gold and stones and for formal collection these are kept subtle and delicate. 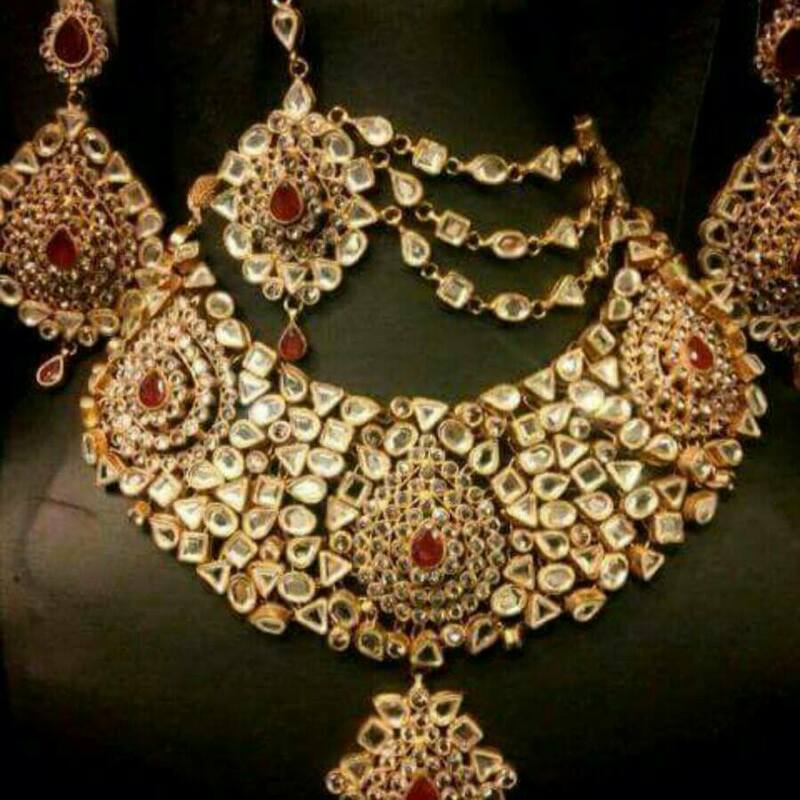 Series of stones are encrusted over silver and on semi circular framework of gold or metal. 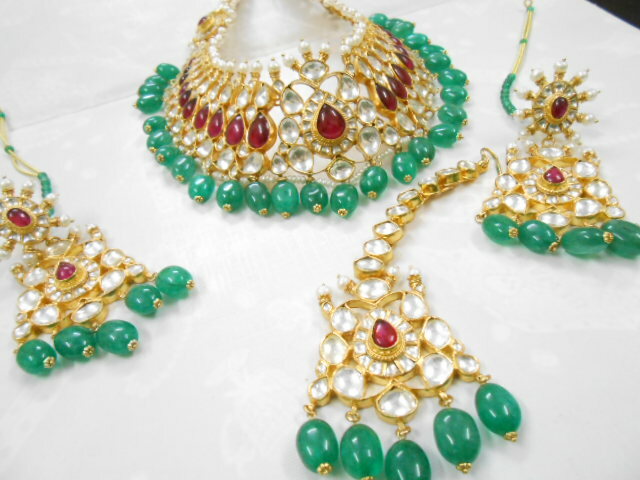 The color of stones varies from green, red, blue or white. 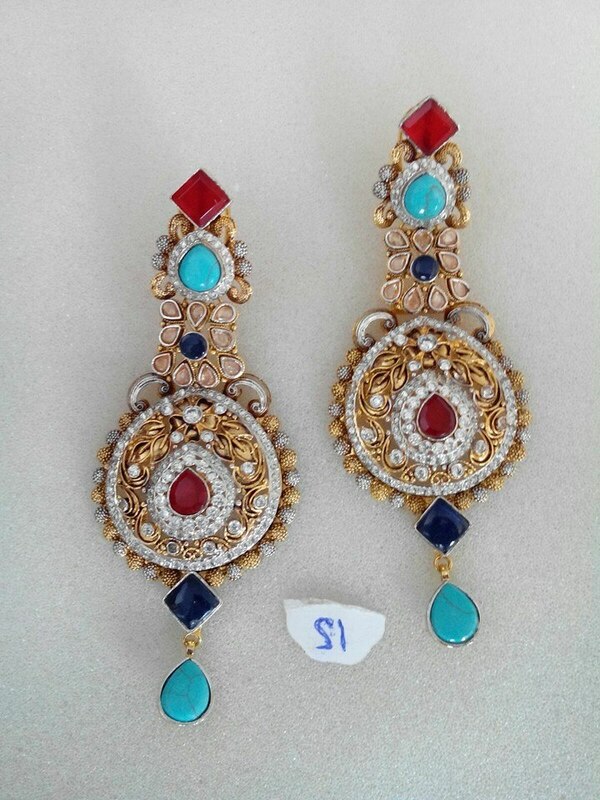 Traditional jewelry had finely and heavily embellished jhumkay as earrings and these are much popular among our women. 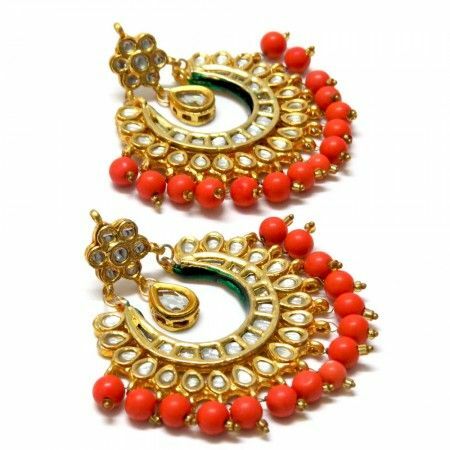 Heavy jhumkas are worn on weddings while light or small ones are carried on casual functions and gatherings. 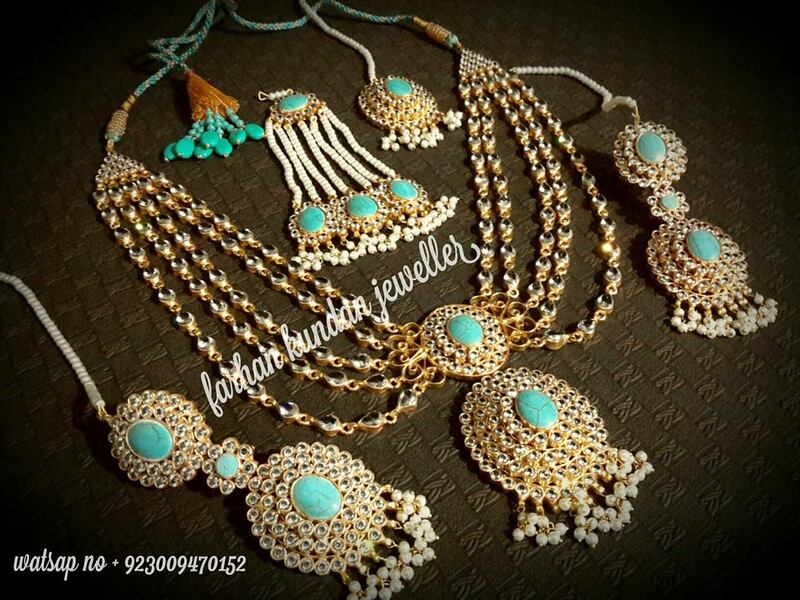 These are available in market in variety of patterns, all have eastern touch. 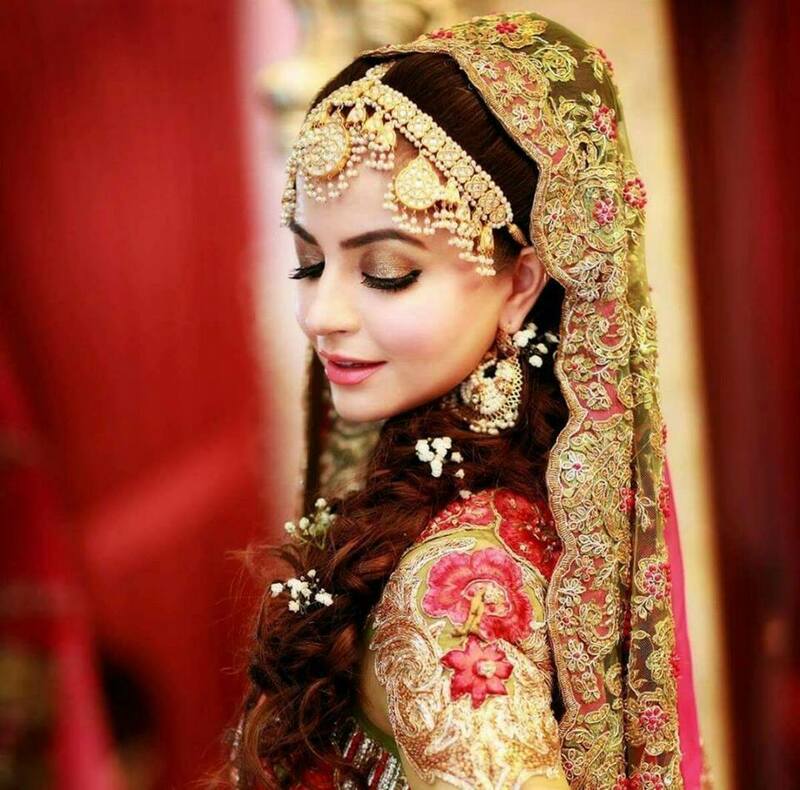 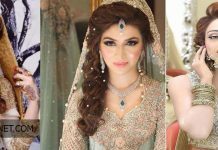 Nowadays for bridals, Matha patti becomes an essential part of modern touch and functions, either with single or double sided. 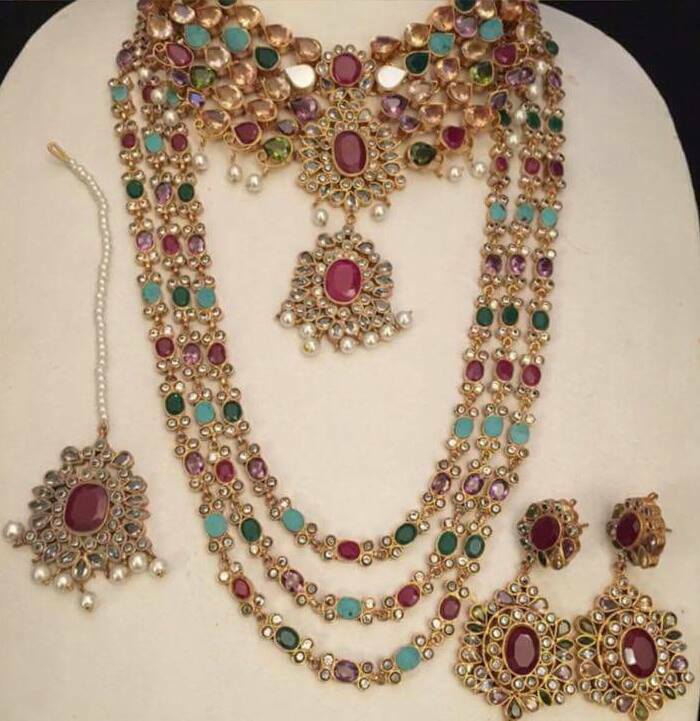 The color of matha patti gems is kept like central gem of that necklace set to make more aesthetic look. 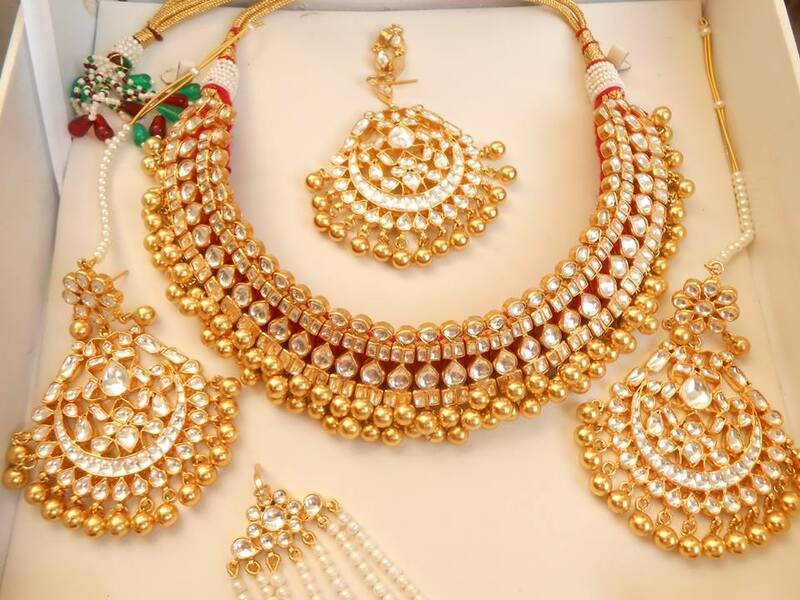 These are used for forehead and usually carries central pearl, gem or stone. 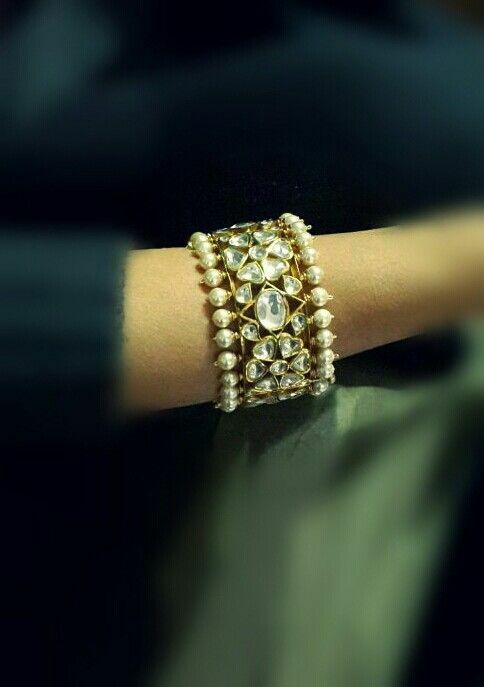 Bracelets are most essential for girls to wear, and women of all age love to wear everywhere. 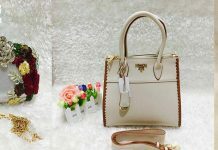 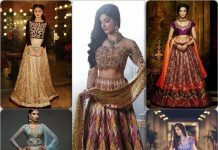 These are unique by their elegant designs and heavy adorned. 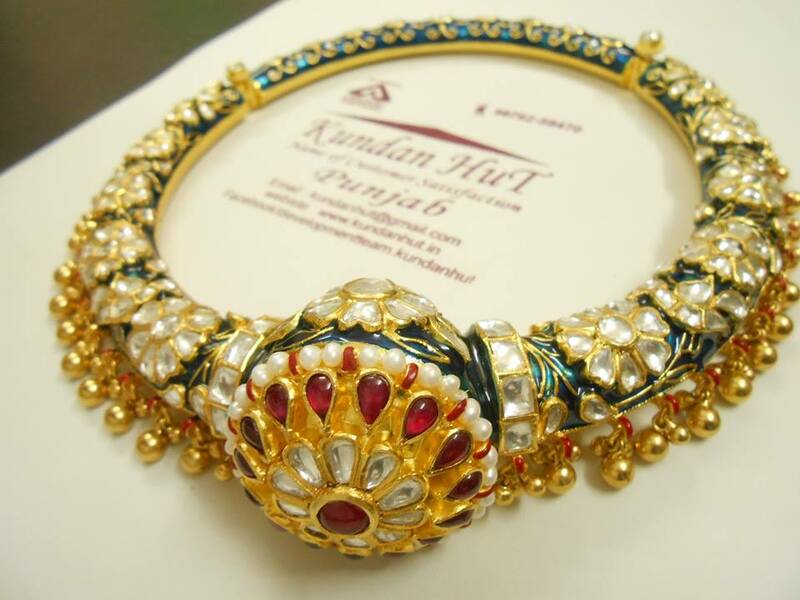 These are made by designers with great care and expert work is done on these and they engrave precious stones in these. 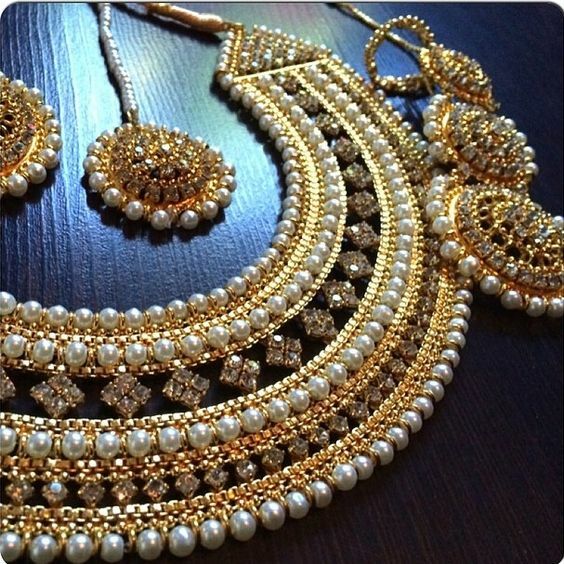 It becomes more elegant when gold is crafted in these. 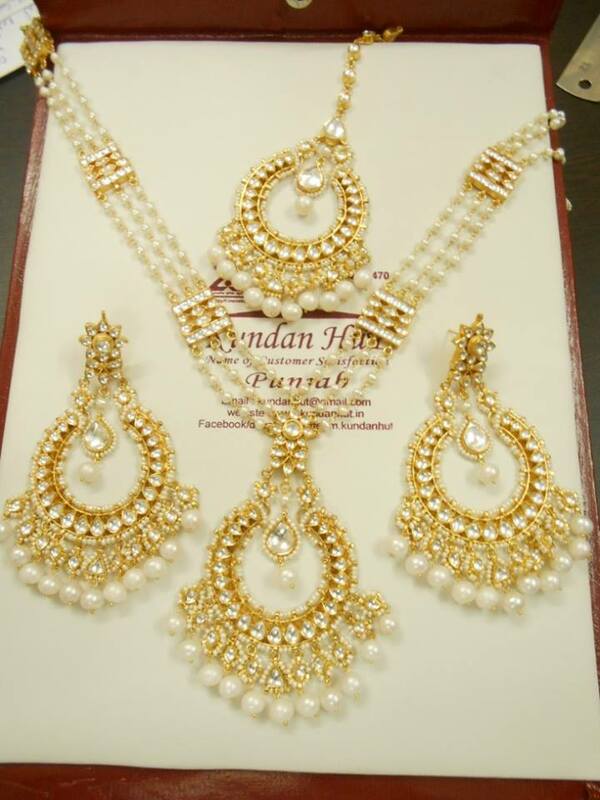 Payal is not usually worn, but still this demanding among women due to heavy work of kundans. 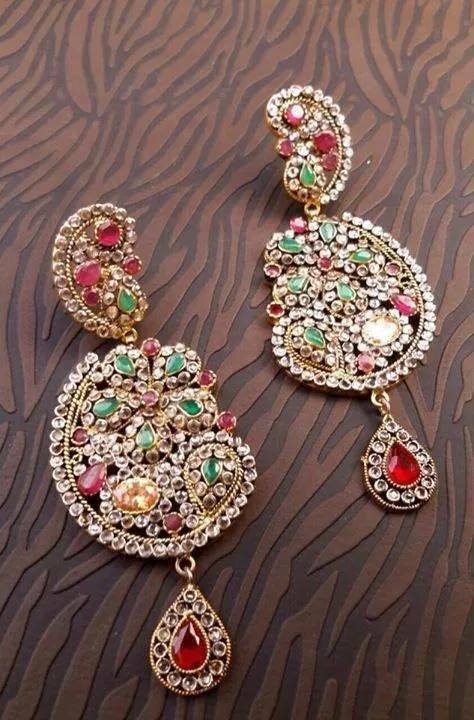 These are designed with stone and gem. 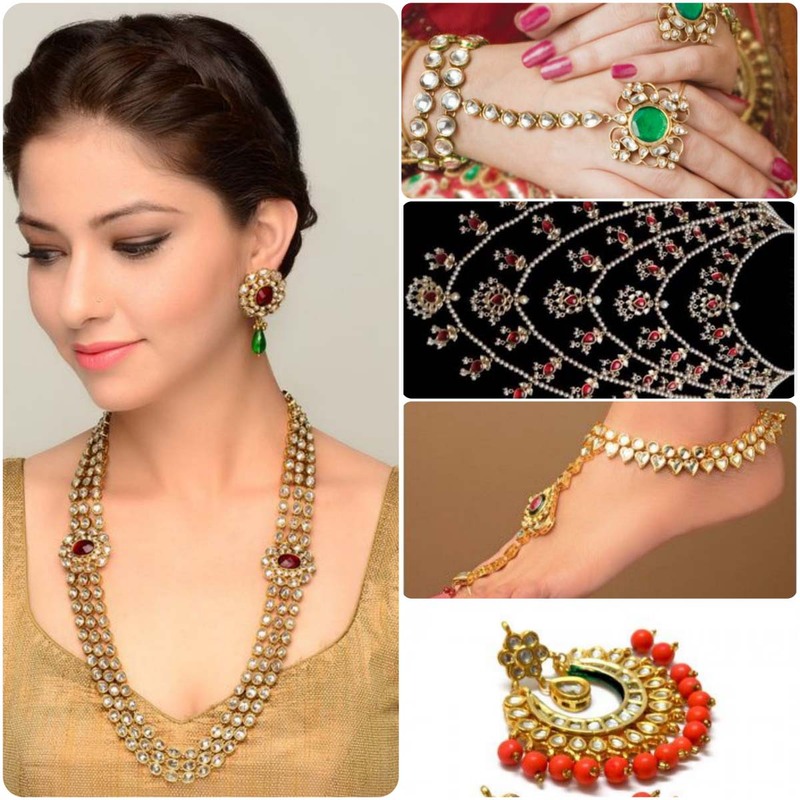 Anklets are made by experts which encircle the ankles along with finger ring and toes. 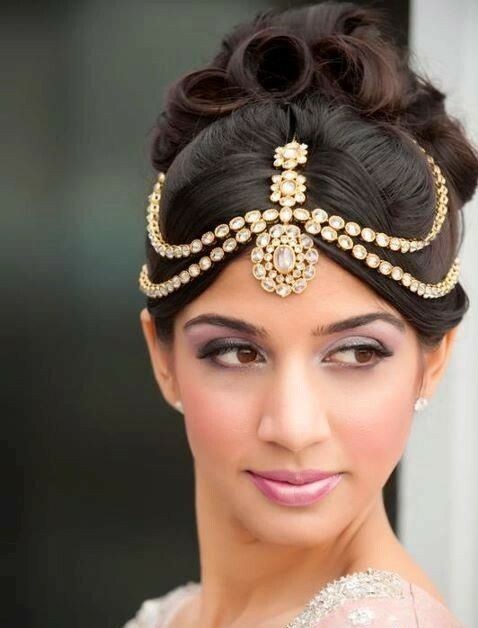 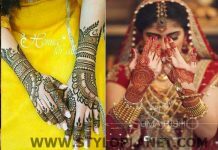 Indian brides love to carry them on their weddings and other traditional events. 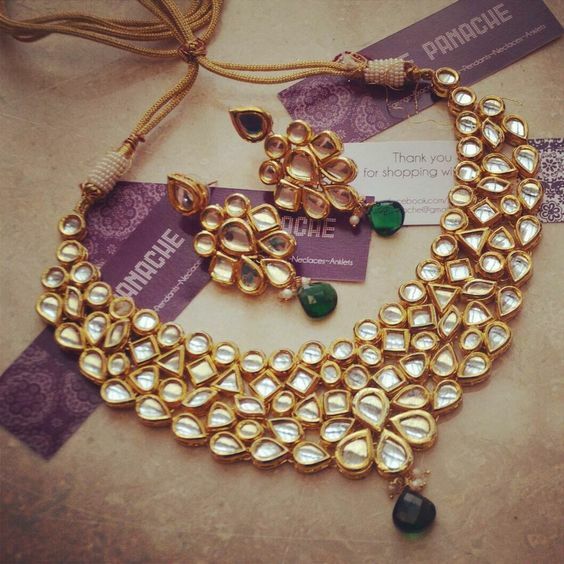 Whereas simple anklets and payals are also designed for casual events. 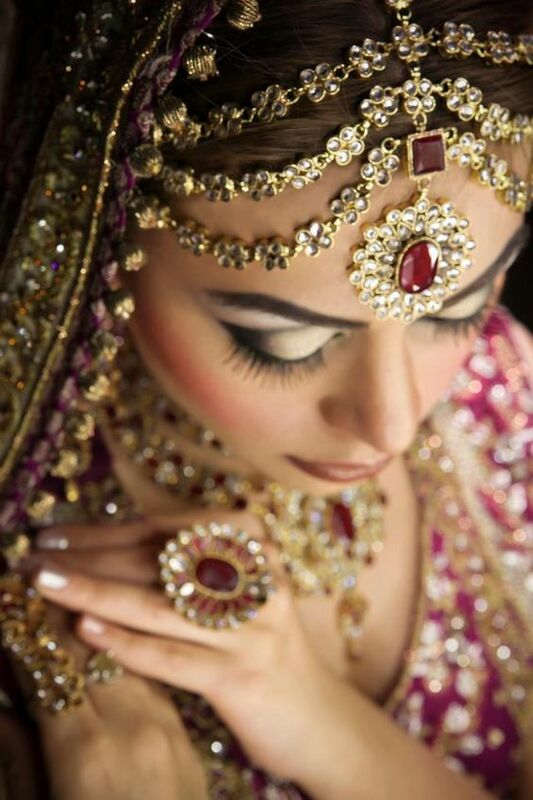 Rings are always worn and loved by all women in Asian countries. 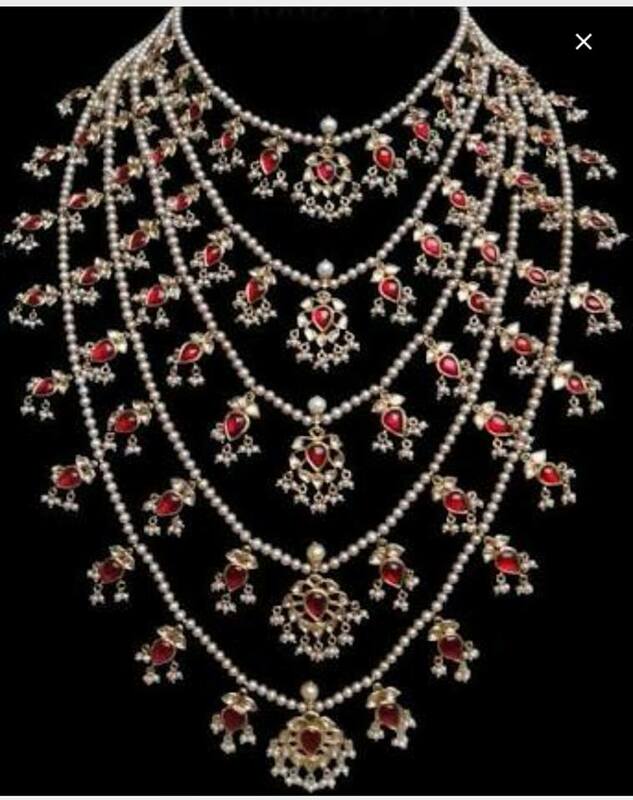 Amazing stones are encrusted in different styles and usually women prefers it broad. 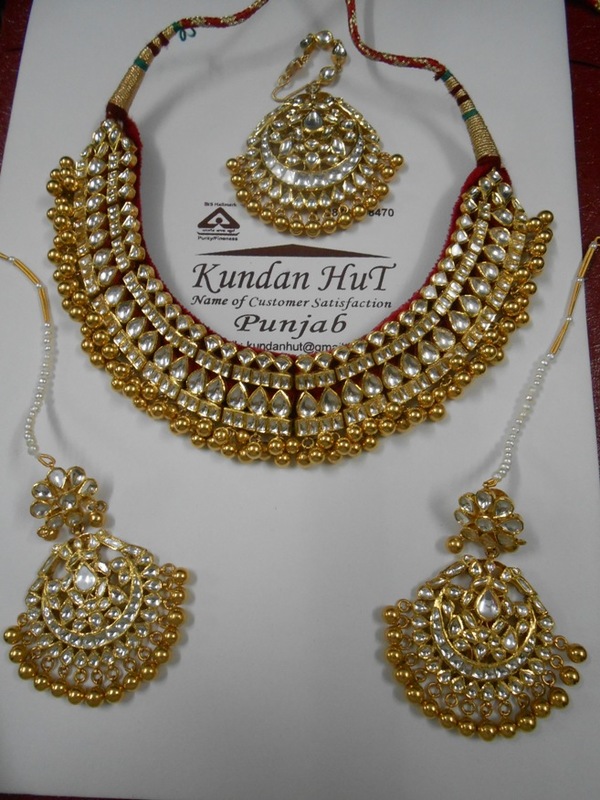 Small kundans work and stoned rings are very famous among females. 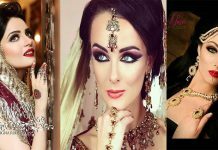 Below are showcased some bridals images with amazing jewelry. 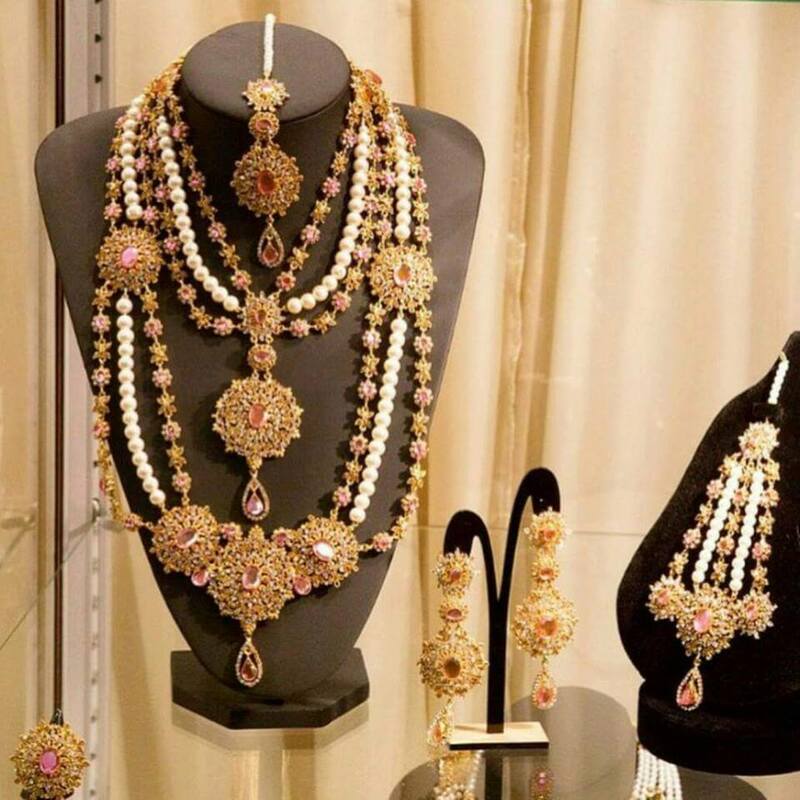 Have a look on this surprising Latest Kundan Jewelry Designs & Trends for Asian Women 2016. 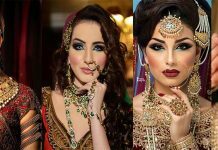 Jewelry is something that is always liked by all Asian women and girls. 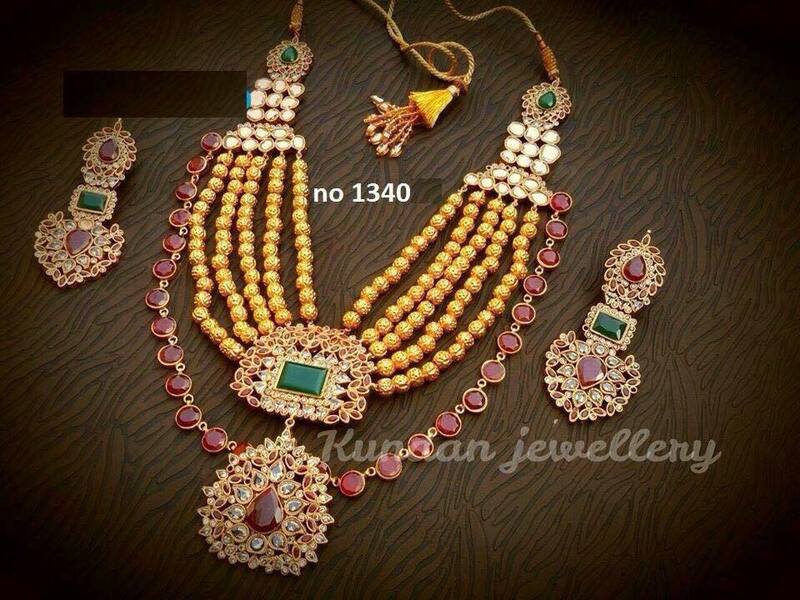 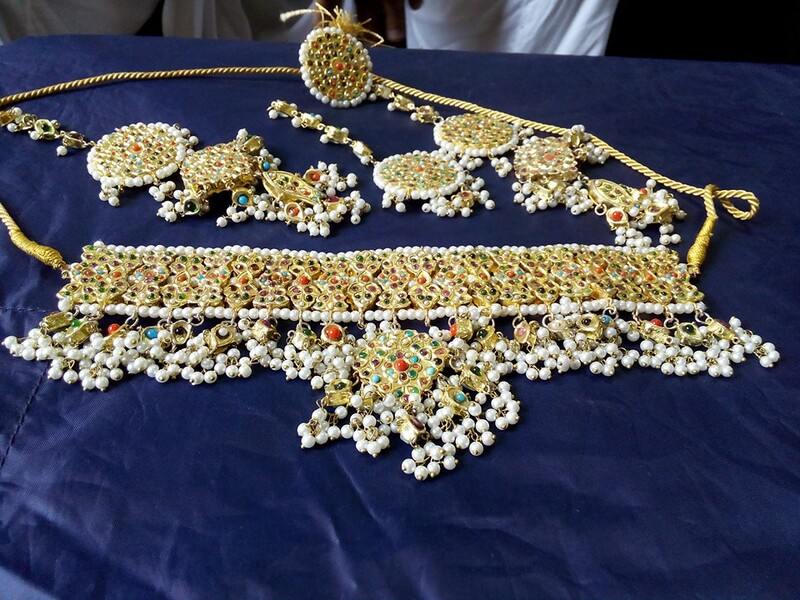 They like to carry it on all traditional events especially Latest Kundan made jewelry.